We have some really exciting news! 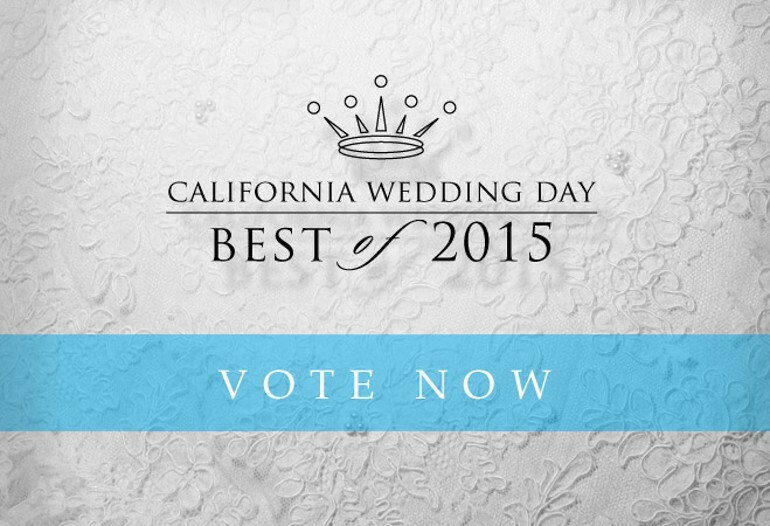 We’ve been nominated for California Wedding Day’s Best of Bride 2015. Huzzah! We’ve been proposed for the category of Best Event Design – Los Angeles and are crazy excited to be considered alongside other such amazing companies. It is one of those situations where it really is an honor just to be nominated. That being said, it would be truly awesome to win. The competition is stiff though, so in order to stand a chance, we need you to cast your vote! The voting process for making the final selection is only open to California State Wedding Vendors, so we are calling on all our vendor friends to pitch in and vote for us! 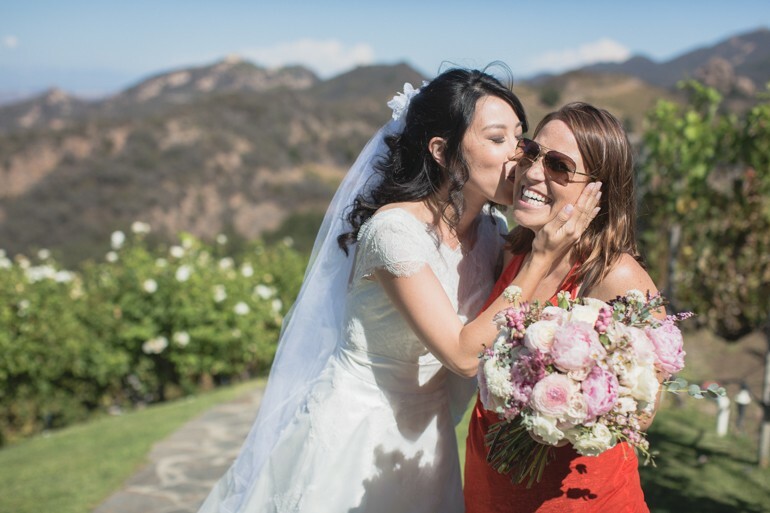 The ballot is on the California Wedding Day website and it is easy-peasy (promise!). We are both grateful and flattered to have received an overwhelming number of votes from our former couples, which placed us in the top four event designers in the whole county! Seriously though, this is like the Academy Awards of California Weddings, so it is kind of a big deal. On a personal note, design holds a very special place in my heart, and I have just loved crafting and styling each of my couples’ weddings. I am thrilled to be asking you for your help, and the support and love I have felt getting to this point is just amazing! So if you loved working with my team as much as we loved working with you, please vote! Also, thank you to everyone who has helped us get this far! I consider myself super lucky to be able to do what I love for a living, and blessed to have the opportunity to give my couples’ their perfect day! Wedding season is in full swing, summer is just a few days away, and lovely wedding details are flying around social media like crazy. If you are familiar with our work, you know that we specialize in designing fabulously styled, deeply personal celebrations. It has been said that the devil is in the details, and we couldn’t agree more. We understand that there are a thousand plans in your head for your big day, and it is important that all the time and energy you’ve been pouring into crafting the specifics of your decor actually translate to the page of your wedding. 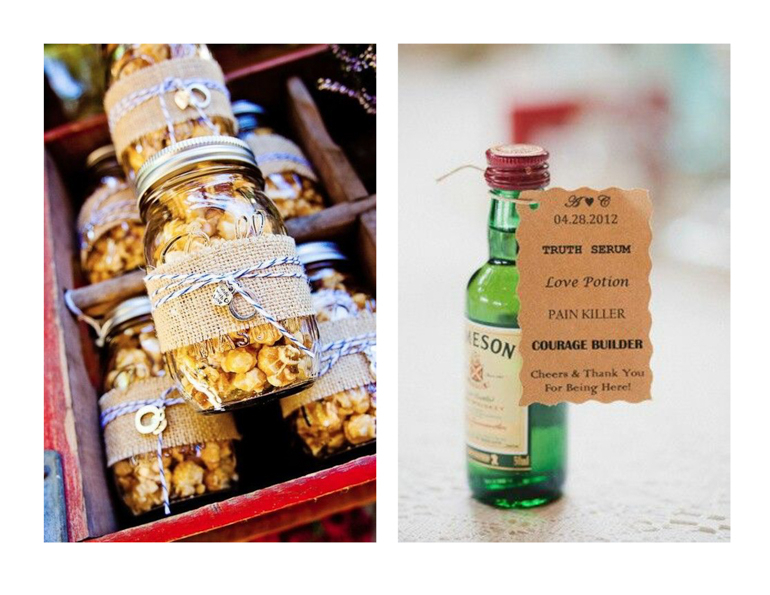 From your DIY seating assignment favors at each place setting to the big hanging frames from the walnut tree showcasing photos of your ancestors, there is a ton to do on your wedding day (aside from making yourself gorgeous and having a great time), and the person setting up all your goodies just can’t be you! We encourage you to have a stylist or planner to make this whole process easy-peasy (hire us! ), but for some of you that is just not a possibility. To ensure that all your hard work doesn’t go to waste, today’s blog will serve as a bit of a guide to help set up your coordinator, friends and/or family for success. The goal is to have things run smoothly without having to involve you in the process on the day-of. So without further ado, here are some tips which will help make sure that all those ideas in your head actually happen when someone else is setting them up for you! 1. Organize Your Detailed Items! Placing your items in boxes simplifies things a ton. 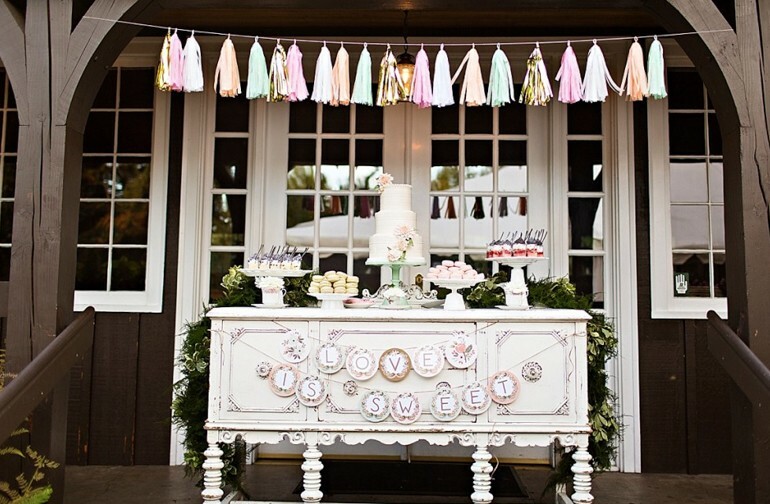 Say you crafted a number of great DIY projects for your welcome table such as a nontraditional guest book, advice for the couple, and some great signage. Be sure to put all the items needed for this table in the same container since they are all going to the same place! It may sound obvious, but not doing it could present a challenge for the person assembling these details. Just because you know what is in a box doesn’t mean anyone else does! Place a post-it note on the outside of the box saying what is inside. By doing this you are not only making it super clear to the person setting up what they should expect to find inside, but also making a checklist of sorts for yourself and the person packing everything all up again at the end of the party. About a year ago we blogged a post in honor of a handy-dandy organizational tool we use for every event: the packing list. With the packing list in one hand and a post-it note in the other, you could rule the world! 2. Make Sure It Is Ready to Go! This means that your items shouldn’t need any extra tending to on your wedding day. Did you go crazy at Home Goods buying cake stands and throw blankets? I’m so glad! However purchased items always come with some sort of price tag or pesky little sticker (which leaves a gross residue). Make sure you cut all the tags and scrape off all stickers before packing the items away for your day. Don’t forget to reach for the goo-gon if you have to! All in all, just make sure your items are clean and 100% ready to go. No one knows exactly what is in your head but you! If you have a specific idea in mind of where and how you want things, then be sure to draw out a map, diagrams, and/or examples so that your helpers know exactly how to execute what you want. If you just want everything to look good, but aren’t particular about exactly where items are placed or how they are displayed, then be sure to tell the person setting everything up that you trust his or her eye and to do whatever he or she thinks is right (which is what we prefer). However if you haven’t had a designer working with you from the beginning or if the person setting things up doesn’t have a full idea of your aesthetic vision, do not skip this step. The clearer and more specific you are, the better! Trust yourself! Trust that you have thought through your details, organized them, prepped them, communicated the vision for them, and now it’s time for you to trust the people who are setting them up on your behalf. You’ve done all you can do. Try to emotionally detach yourself from all things logistics and just let go! It is your day, so enjoy it! 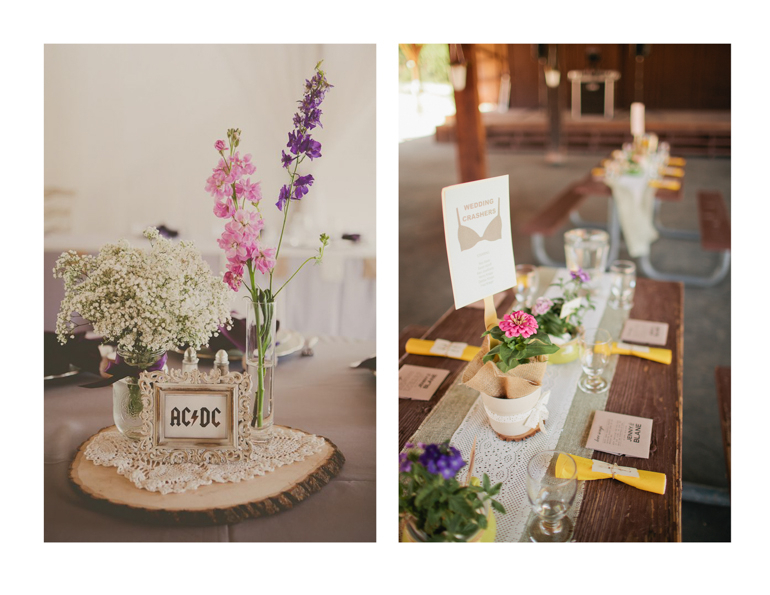 Photo Cred: Welcome Table (Left) by Brooke Davis of Blush By B, Welcome Table with Guestbook (Right) by Ashleigh Jayne Photography, Sweets Table by Courtney Bowlden Photography, and Carousel Dance Floor Shot & Getting Ready Shot by Ronca Productions. Last week I pressed upon you the importance of getting personal when it comes to the design and styling elements of your wedding. However, I can understand that it can be difficult to wrap your mind around what this even looks like in real life. Have no fear. As promised, we’re back today with Part 2 of our Personal Touches Style Guide! In part 1, we shared with you some serious insider information on steps to weaving fabulously styled personal details into your celebration. Now that we’ve laid out the principles of the process, we thought it might be helpful to share a few examples from our past weddings. 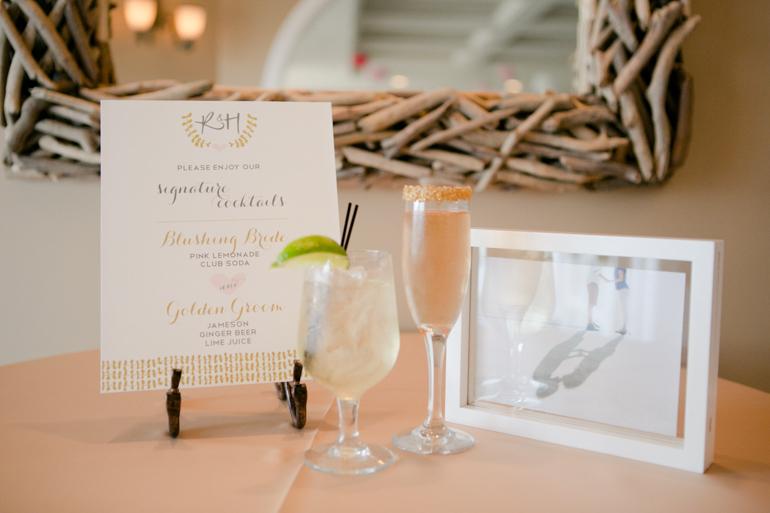 We worked with these couples to not only design a day that brought their “look” to life, but also served to reflect who they are – therefore crafting a gorgeously styled, deeply personal affair. Enough words, let’s dive in! I guess it is only fair to put myself in the hot seat first. One of the best compliments Tim and I got from our wedding was just how intimate and “ours” the whole party felt. Our guest got a true glimpse of who we are, both as individuals and as a couple. It was seriously the best. Many of you know that my hubs is a professional photographer & cinematographer. With his background in cinema and my own in theatre, our design inspiration took the form of the “glory days of Hollywood with touches of old theatre glam!” To bring this feel to life, we added small details throughout our aesthetic (such as vintage cameras and themed signage). Eunnie and Brian decided to make the hairiest, and maybe cutest (shh! Don’t tell! ), member of the family part of their big day! 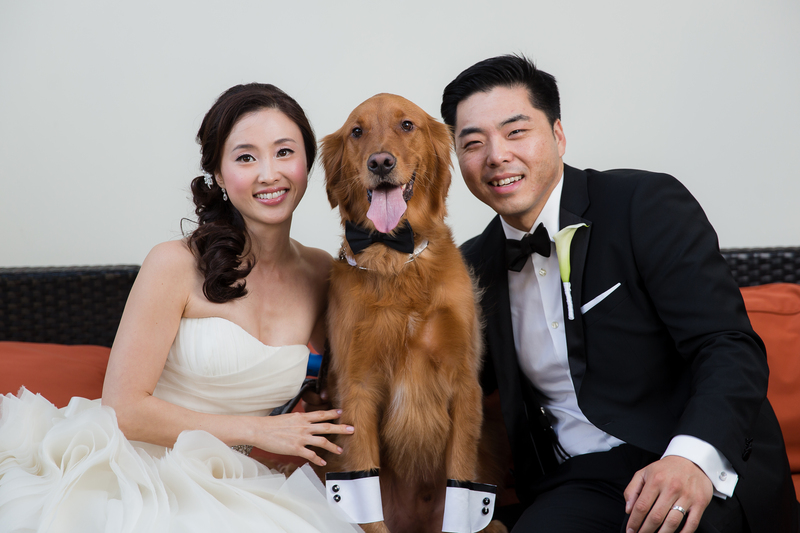 This detail was not only personal for the bride and groom, but also fun for the guests, who all loved having Busby as part of the celebration (#bestringbearerever)! Right from the start I knew Bre and Eric had great style, and I’m so glad they decided to showcase that as part of personalizing their day. Eric and all of his fellas, wore clean, black converse with fun socks (patterns and colors galore!) Opting for this non-traditional fashion statement was a way for Eric to be himself and add his own flair to the day. 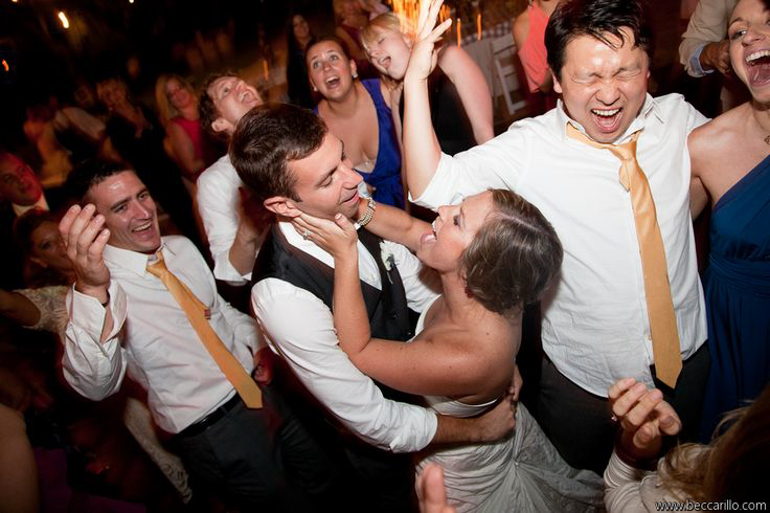 Sara and Eric had a fun, light-hearted feel to their wedding. 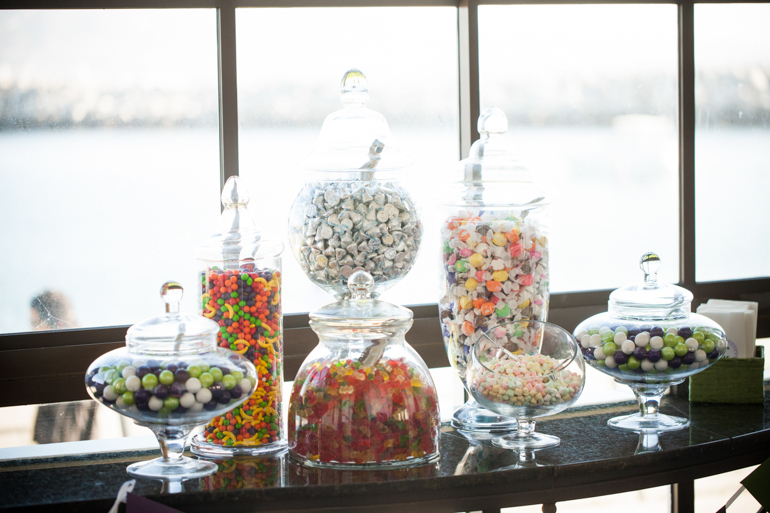 To keep their guests in that juvenile state of mind, they had a candy bar that would cure any kind of sweet tooth! This was a way for them to do a bit of a throwback to their childhood, while also staying true to the mood they had set out to create. I mean come on, it’s not everyday you can enjoy a handful of Willy Wonka Runts or giant, colorful gumballs! 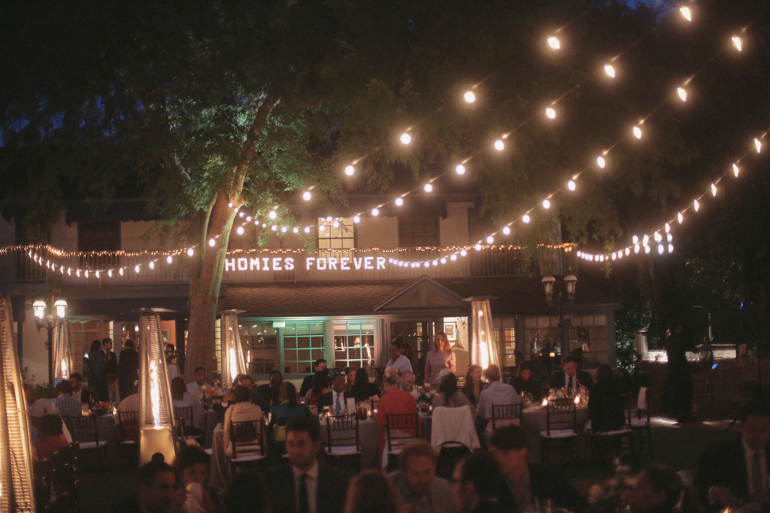 Anastasia and Eric showed off their personalities by reminding their guests that they are now officially “Homies Forever.” This fun and sassy phrase was incorporated into both a DIY marquee and in their wedding favors. 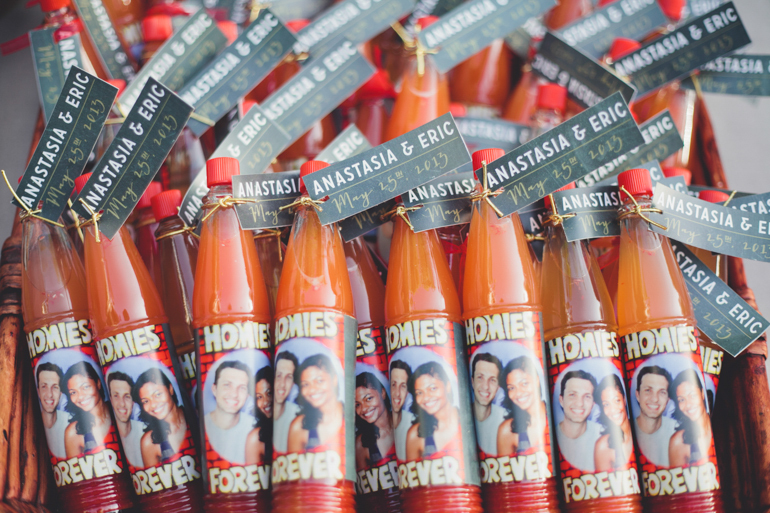 Not only did they spice things up with their humor, but they took it to a literal level and gave out hot sauce as their wedding favor! And, to top it off, they went the extra mile to put labels on them- phrase, face, and all! Talia and Bennett didn’t hold back when it came to personality and intentional details! 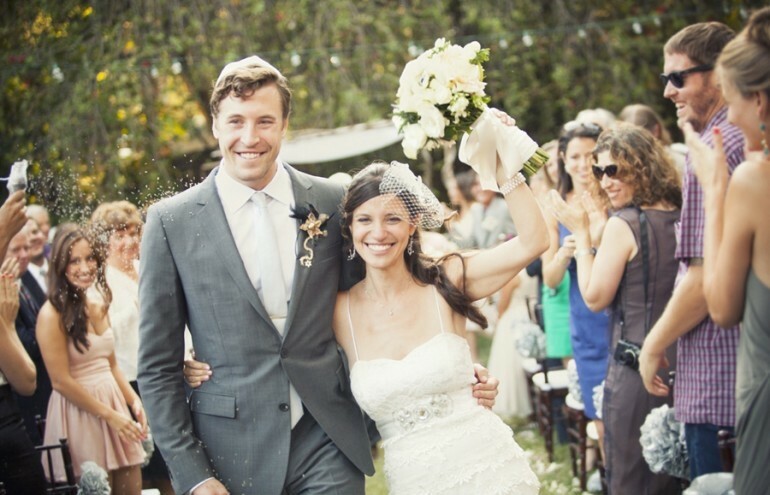 The more personal touches they could add to their day the better (and we loved it!). After getting engaged in Italy, they brought back delicious olive oil, and lucky for their guests they were willing to share! 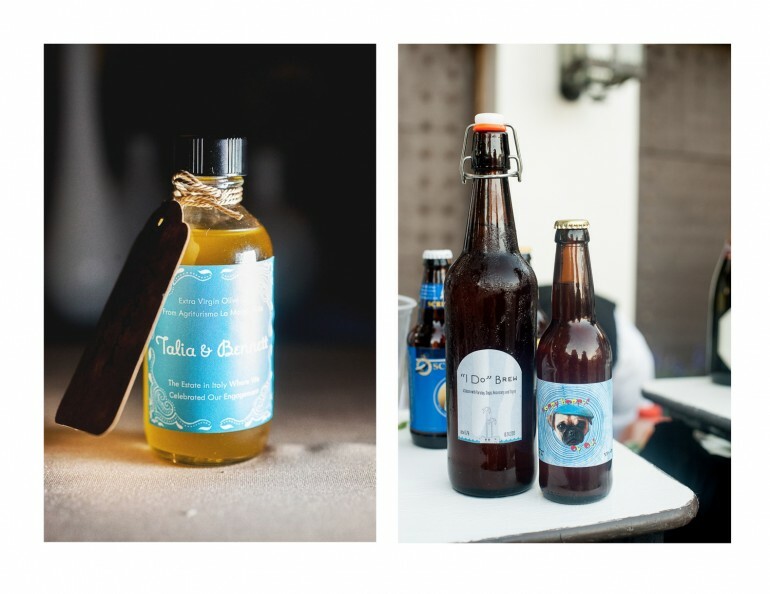 They divvyed up the oil into miniature bottles, slapped on personalized labels, and finally tethered a cute tag to make personalized, affordable favors for their guests (i.e. the best kind). At the bar you could find Bennett’s specialty “I Do” beer (brewed by Bennett himself specifically for the wedding). This couple just loves to cook and eat, so they were intentional to serve food they like throughout the night (PS – if a caterer has chicken & waffles in their repertoire, be sure to choose it, which is exactly what these love birds did – and their guests went nuts!). 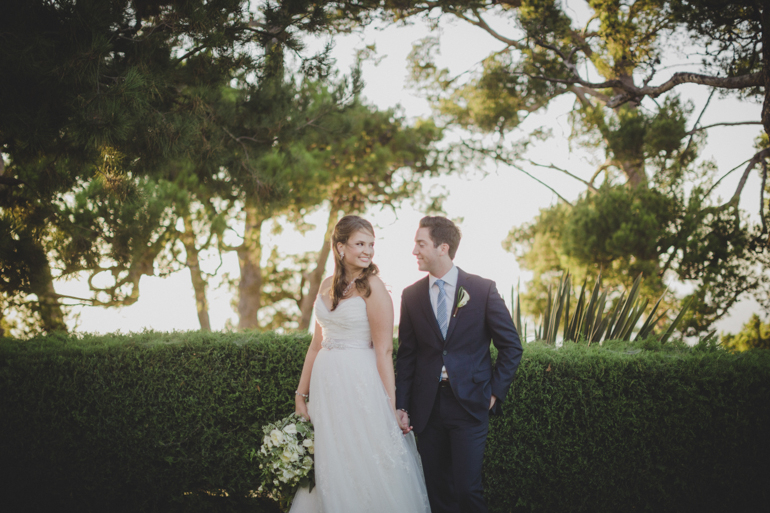 Victoria and Tom had their wedding at Victoria’s childhood home in Riverside, which is located in a section that is just filled with orange groves. To honor the history of the area, we introduced the nods to citrus groves wherever we could! From orange crates, to vintage orange grove postcards, and actual fruit, we wanted the locale to be represented. Taking a personal fact or characteristic and working it into the style of your wedding is a great way to keep things reflective of you right from the start. Maria and Jon showed off their dancing skills, and their style, by choreographing their own dance! They took on an ambitious task, and totally rocked it! 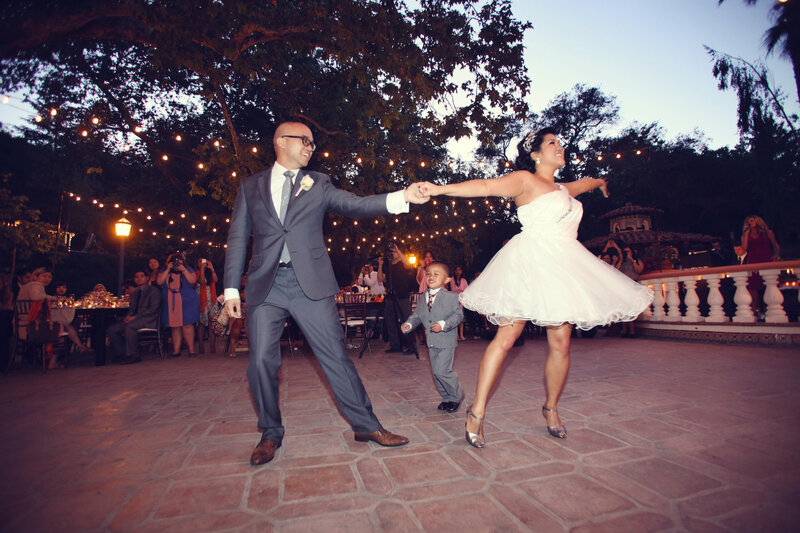 A dance was a way to show off their flair, but remember – what works for one couple may not work for another. Stay true to yourself! Music already works to tell a story, which is why it can be such a perfect way to tell yours. Again, here we encourage you to be intentional about the music you choose. 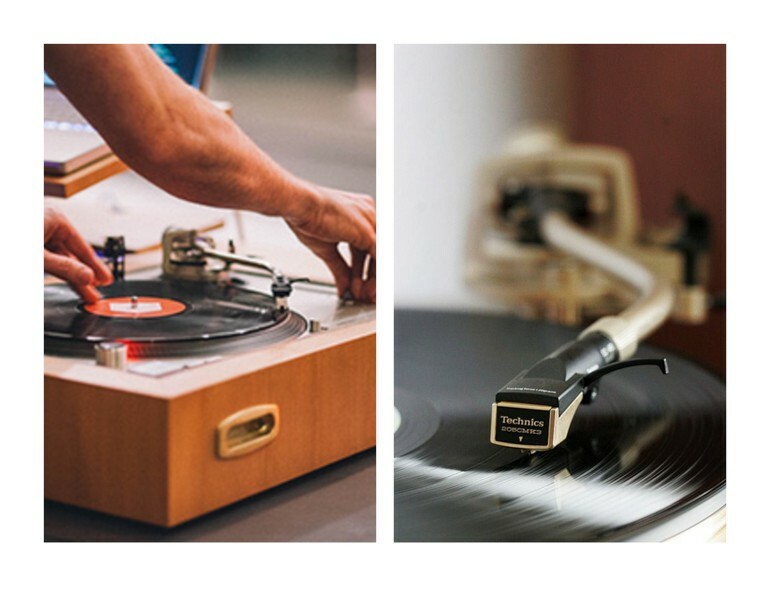 We have had couples such as Amy & Matt, choose to have their DJ spin only real vinyl records throughout the party. One of our most recent couples, Flora and Moises, both come from large, Latin American families. 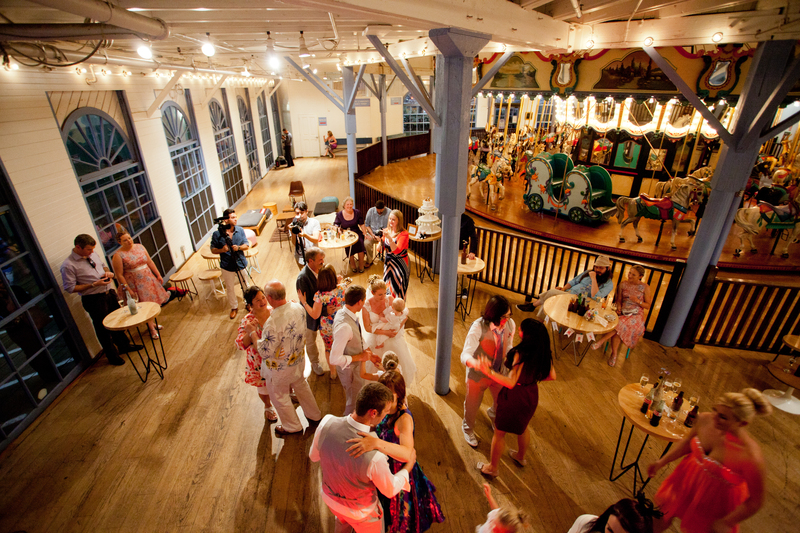 In effort to honor their heritage and ensure that all the guests had a great time on the dance floor, they decided to incorporate musica latina throughout the evening (salsa, merengue, bachata, and the list goes on and on – guests were dancing and singing the night away in Spanish). Hopefully our real couples have given you both inspiration and hope that you are more than capable of making your day not only well-styled, but also super personal. Remember to be yourself, choose what you like, and don’t be afraid to think outside the box! Make each and every choice you make for your wedding day count. Oh, and don’t forget to have fun as you do it, because that is really what this is all about! Step 1: Create an Overall Design Plan! For clients who have yet to secure any solid thoughts on what they want in terms of a design, the very first think I do is create a Pinterest Board for them and ask them to get to work. Pinterest can be your best friend here, trust me! I simply have them pin things that they like (easy as pie!). Once I see the kinds of, colors, textures, lines and motifs they are drawn to, we discuss what I am seeing from a design point of view. 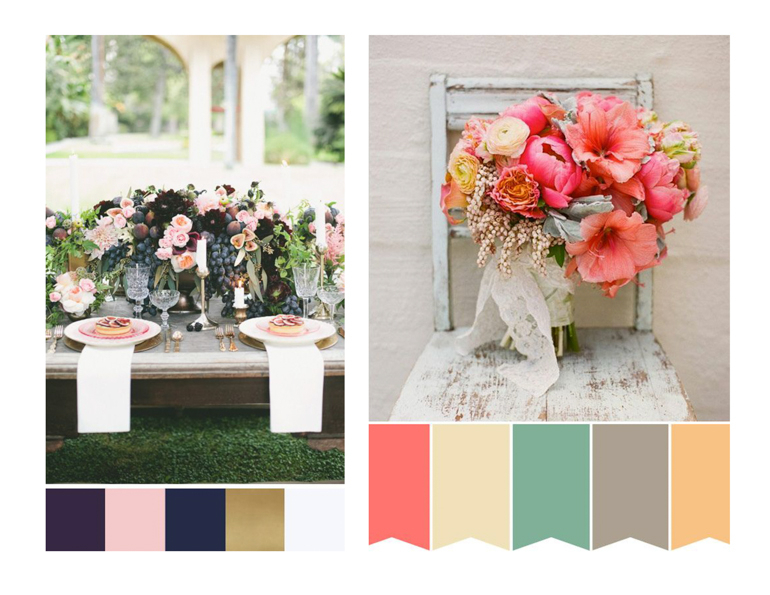 From there we craft a formal style guide with a mood board that serves to drive the aesthetic direction of the wedding for all designing vendors involved. Whether you are working with a designer or flying solo, my advice to you is to create a guide that will focus your event design from beginning to end. Step 2: Flush Out the Details! Now that an overall design is in place, it is time to get working on the details! This means thinking through the various design mediums we have available to us. We work with our clients to determine initial ideas for flowers, linens, lighting, graphic design, printed items, rentals and more! There is a plethora of ways for you to make your designing details individual to you, and we’re here to help our couples take advantage of each and every one of them! 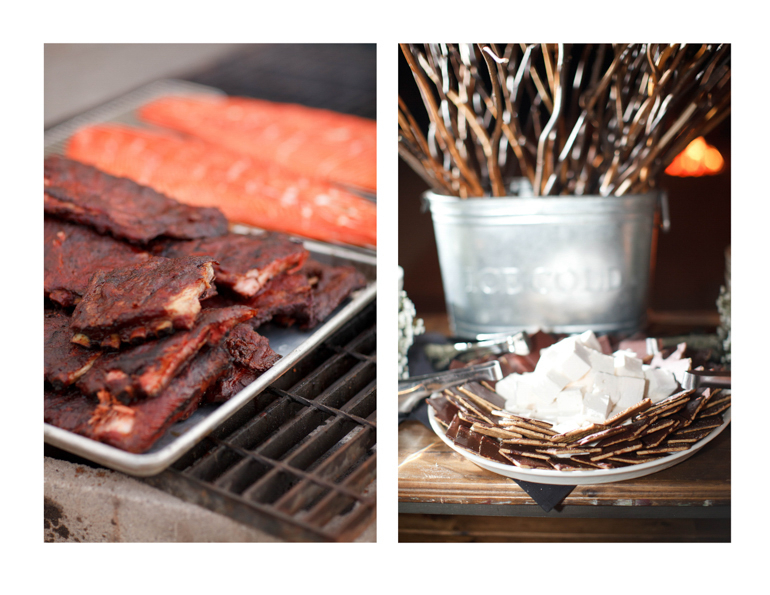 Whether it speaks to your heritage, or it is simply what you like to eat on your birthday, be sure to choose food that you like to eat! If you’re a foodie, let your guests know it! The same goes for your cocktails. 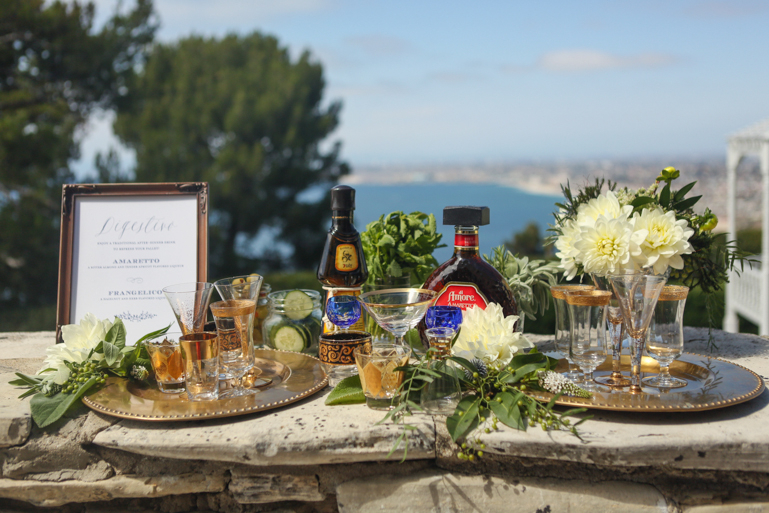 Picking signature cocktails that reflect your taste helps your guests feel like they are having a drink with you! You’re likely going to spend at least a portion of your wedding on the dance floor, so choose artists and styles that you genuinely enjoy dancing to! This is a great chance to tell a musical story, which means choosing music that shows who you are. Most people remember to select music for their ceremony and dance-set, but thinking through music for guest arrival, cocktail hour and dinner will give you a chance to showcase music and styles you love that might not be the best for dancing! Send your guests home with something that is special to you. 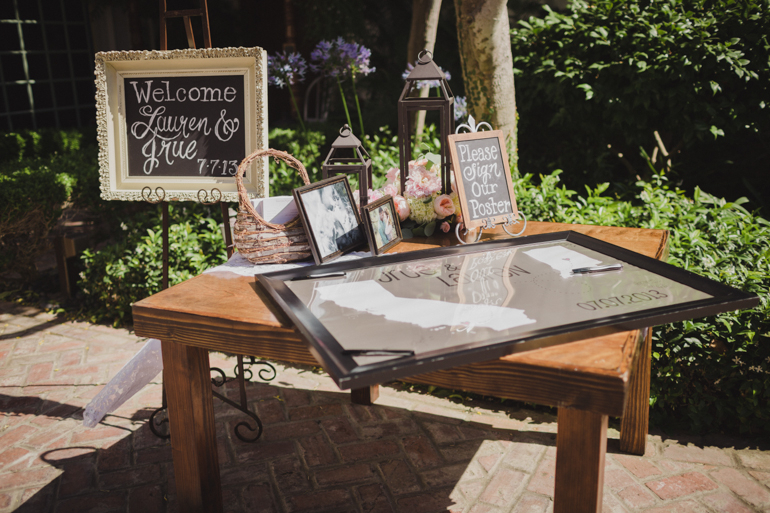 Choose to mark your guests’ presence at your day through a non-traditional guestbook project that reflects somewhere you’ve traveled. There are countless details in which you can choose to give a nod to your backgrounds, cultures, traditions, hobbies, and overall vibe. 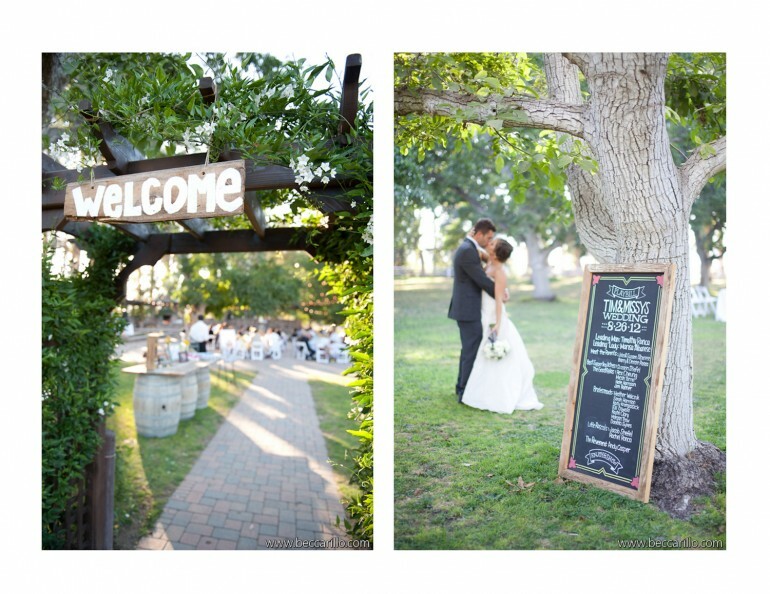 Wedding signs, whether they are functioning as a necessity or an aesthetic detail, can not only serve a function, but can also do wonders to bring out your overall wedding feel. Does your wedding have a Parisian feel to it? Use French words throughout your menu and signage to seal the deal. 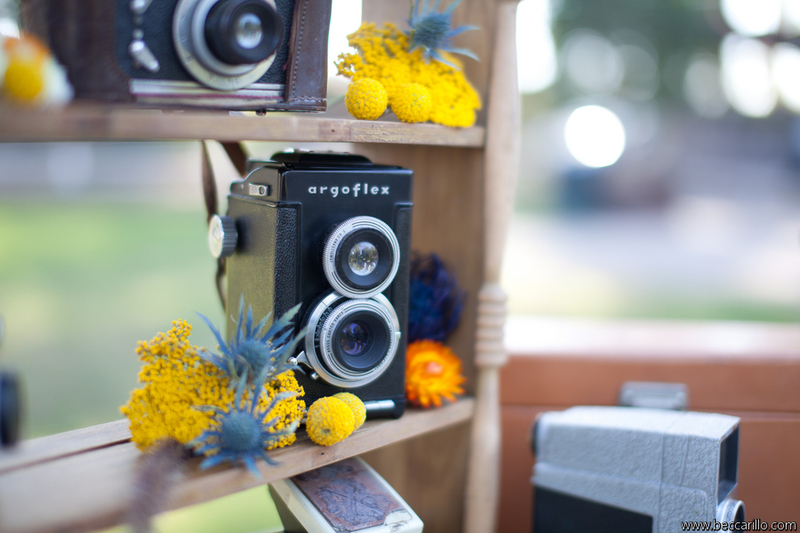 Have a fun, lighthearted feel to your wedding? 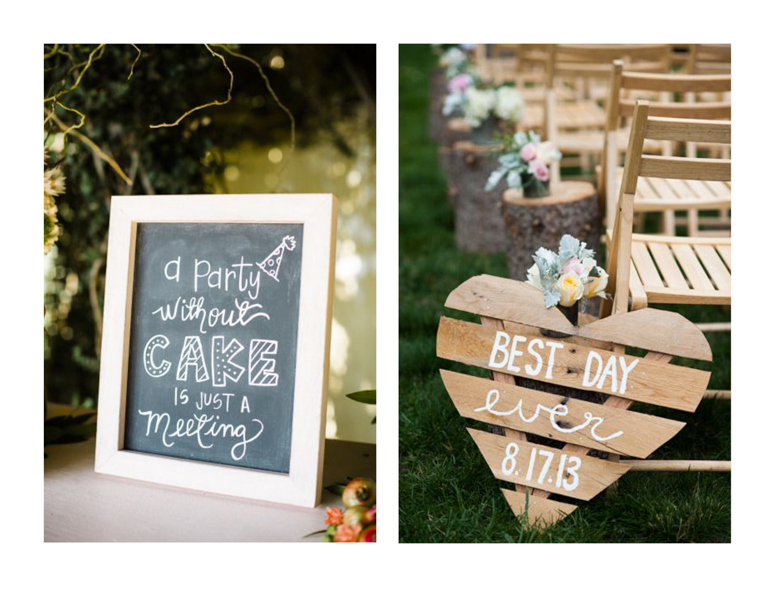 Choose to use cheeky and upbeat phrases throughout your wedding signs! 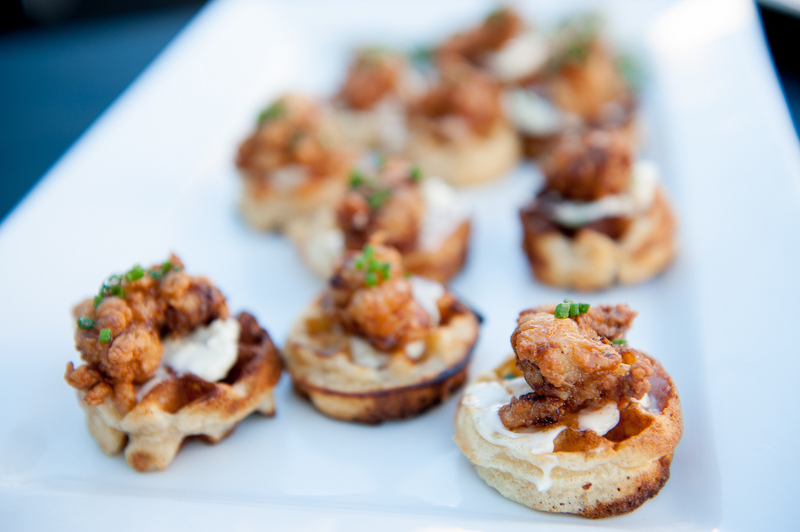 Hosting a black tie affair? Be formal and sparing with your wedding paper items. These are things that are going to be utilized no matter what, so why not make the most of it? Have fun with it! Take your tables for instance… Name your tables after something that means something to you. Cinema themed wedding? Choose to name your tables after classic flicks. Have a wedding with a tropical feel? 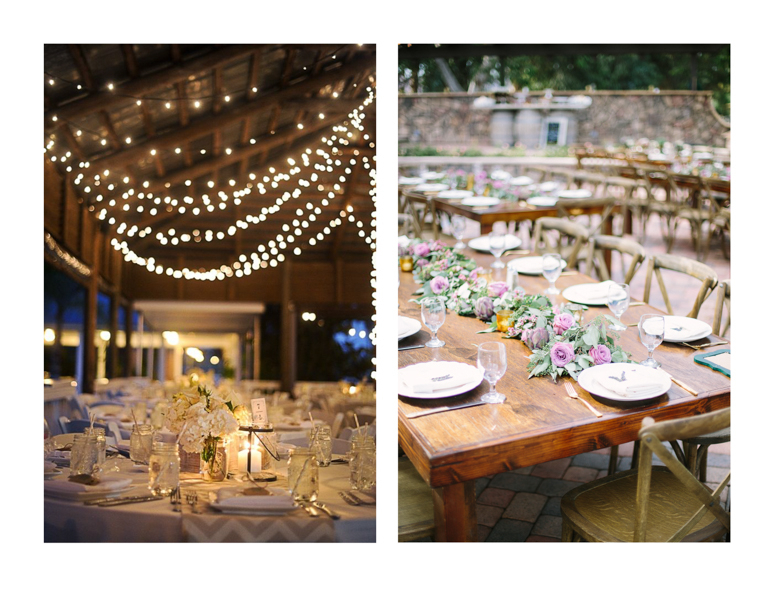 Use fab locations after which to name your tables! The possibilities are endless. Unless you are having a truly formal fete, don’t waste this opportunity to showcase who you are as a couple by just using numbers (unless of course you run out of time, and then let this go and enjoy your day). 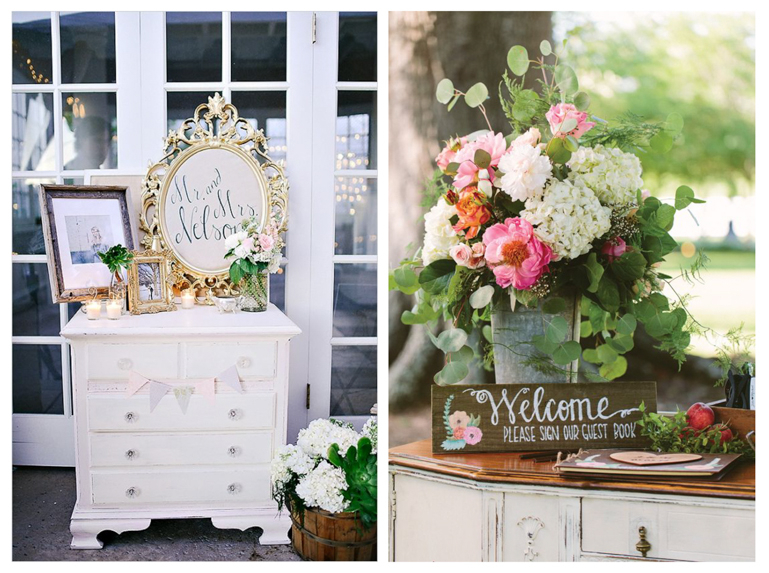 The key to personalizing your wedding is to be intentional. Take the time to make choices that serve to reflect your sense of style and personalities. Make sense? If not, have no fear. In our next blog (Part 2 of this series), we will be sharing examples from some of our real couples and how they worked with Step 3 of our guide to customize their celebration!